FortySomething FirstTime Mum: This isn't me! This isn't me! Or at least, it wasn't me! I am not, or at least, I was not, one of those timid women who cowered in the face of adversity. I have always been able to say what I think and admonish where admonishment was needed. So, I am exasperated at my own behaviour in our local park the other day. Indeed, it has infuriated me so much, that I am still admonishing myself about it! Let me fill you in on what happened! I am sitting on the bench, happily watching my little boy mucking around with some other kids on the swings and slides. He is getting mucky as it had been raining earlier and the ground is wet. I just sit there smiling because he is enjoying himself. I exchange the odd pleasantry with another mother. I am enjoying myself too. Then, out of nowhere, our fun is ruined. Three teenage boys hoist themselves up onto the bigger slide and sit at the top smoking. Our children are playing just underneath as one of the boys flicks his ash down towards them. I am incensed and get up to caution them but they don't care. I ask them politely to move to let the children play and to find somewhere else to hang out. The expletives and obscenities showered upon me are too horrible to repeat. One of them poured a can of lager down the slide and made a rude gesture at me. The other mother gathered her children and left immediately and, after a little hesitation, I did the same. I did not want my child to witness any more of their vulgarity. And I am ashamed to say, that I was also very scared. I wish, in that situation, that I had been like I was before I became a mother. Back then, I would have challenged them more. I would have been angrier. I would not have been so scared. I would not have just walked away. But these days, the fear rises inside me like bile, and I worry that I would not be around for my little boy, if something were to happen. 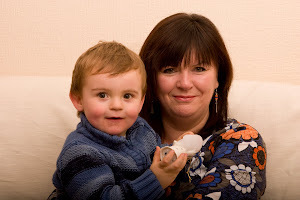 I am a forty something first time mum and I want to be around for my son for as long as I can. This is what motivates me to avoid danger these days. That's what I want to think anyway. My mother says that she feels like this nearly all the time. She thinks the older you get the more vulnerable you get and the more fearful you get. I would love to know what others think and what others would have done in this situation. Did I do the right thing? So here's the deal - I live in small town USA - my husband is a police officer. I asked him what would happen if this situation arose here. You would have the option to call the police - they would show up and the following would happen to these teenagers: 1. They would be charged with menacing (based on what they said to you) 2. Criminal Mischief 3. Underage Consumption and 4. possession of tobacco by a minor. In this town with our Judge they would at the very least receive 30 days confinement in a juvenile detention center. Fines would also have to be paid and would be based on what the teens family could afford. I suspect that if this kind of strict law enforcement would occur in Ireland these little scangers would think twice about behaving so obnoxiously and threatening you at a children's play ground. I know a lot of the world frowns on the US's law enforcement but let me tell you, I don't get abuse at playgrounds, nor to I feel threatened. Our officers respond to every complaint known to man - we have a city of 17000 people and 26 officers that cover three shifts between them.... I think it is time for Ireland to rethink their policing..... Just my tuppence worth. But I am disgusted that such an innocent activity had to be ruined by the likes of these little B*ll*x's. Sadly, this type of thing has happened to us before in Fairview Park. I hear what you are saying and to be honest, I agree with you. There is nothing I could do in the situation and I felt very vulnerable and powerless in the face of it. There would have been no point in me calling the police. They wouldn't have come. There aren't enough of them these days anyway! And I hope my little boy never does either! Angela wrote: "Tried to respond on your blog, but I'm having problems with comments on Blogger lately - it won't even let me comment on my own blog! Tried to say that I've been a lot more circumspect lately, so it might be something to do with being an older mum. Also, when you've got your child with you you tend to be a lot more careful, to avoid the risk of them being hurt. My main reason, though, is my husband, who gets very cross with me (out of worry) if I try to be too assertive. I even get in trouble if I've been out alone and let him know that I tackled people, as he worries about me getting hurt, so I've been a lot more careful in the past 7 years!" Thanks Angela for trying to respond on this blog. A few people have said they are unable to do so, so I will investigate! I have transferred your comments across from facebook. I came through your blog and instantly liked your posts and the way it was explained. I do have a website for ladies. Its www.ladies-talks.com and it has blogging too. I have just recently started this. 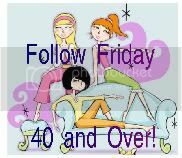 This is a social networking for ladies. I wish you could also join and share your posts with all. It is possible to export your current blog contentes in to ladies-talks.com site very easily in a single click. I will give the credits to you and your website with hyperlinks. Thanks in advance for your positive response. Thank you Sujatha. I will check it out. I would have felt scared too !!!!! Teenagers can be rather threatening when they want to be and you need to protect your child as well as yourself. Yep. I just hope my little man doesn't get like this someday! gulp! There is absolutely no reason for you to feel ashamed for being afraid. Teens taking over a playground while children are playing is not normal. I'm glad you left. I would have been afraid, too, and would also have left. It seemed the only thing I could do at the time. It's horrible feeling so helpless. I just happened upon your blog now, and read this piece. It's so awful to have to go through that horrible experience, and even worse that the culprits got away with it. I am 24 with a one year old, and I would not have challenged the teenagers. I think your actions were putting your child first, and that is irrespective of age. Them being safe is what we care about most, so I think you did the right thing. I have just recently have started a blog of my own, which is funnily enough talking about how a young mother copes with being a SAHM in Ireland! I was only 22 when I found out I was pregnant, which these days is considered very young, and I certainly didn't feel prepared for that "loss of freedom" you were describing. It's lovely to read about your experience, which is a totally different perspective and yet we have very similar values! Nice to 'meet you' here Lady Grey and thanks for commenting! You are right, our children being safe is what we care about most, irrespective of age! I admire you so much. 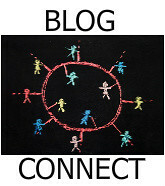 I'll see if I can get a link to your blog by clicking on your name here. If not, feel free to post the link here in the comments.